Today, AMD introduced the first 32-core desktop processor for the consumer market with the Ryzen Threadripper 2990WX 32-core, 64-thread behemoth. 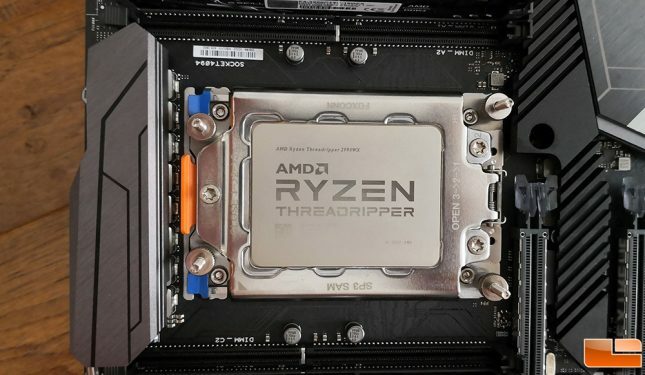 This processor is the successor to the AMD Ryzen Threadripper 1950X 16-core, 32-thread processor that was released just last year. In just one year we are witnessing the core count double on consumer processors and better yet, this is a drop-in replacement for the 1950X. You just need to update the UEFI (no CPU required) on the AMD X399 motherboard that you’d like to use and that is it. AMD wants to give consumers all the compute power they want for a High-End DeskTop (HEDT) system. Putting all those cores in your next system build will set you back $1799 for the 2990WX, but you can also buy a 24-core version for $1299 (2970WX), a 16-core version for $899 (2950X) and a 12-core version for $649 (2920X). 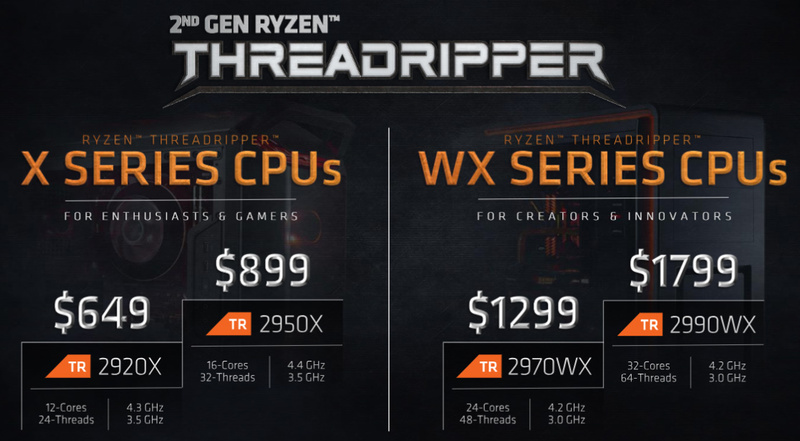 The AMD Ryzen Threadripper WX series is aimed at content creators and innovators while the Threadripper X series is aimed at enthusiasts and gamers. Gamers don’t need 32-cores and 64-threads, so we are happy that AMD is being straight forward and not marketing the 24-core and 32-core parts to gamers or your typical power user. The AMD Ryzen Threadripper 2990WX has a base clock of 3.0 GHz, a boost clock of 4.2 GHz and 64 MB of L3 cache. One of the reasons that the 2990WX is not aimed at gamers is due to the design of the 12nm Zen+ core based processor. The 2990WX consists of four dies and is exclusively configured as a Non-Uniform Memory Access (NUMA) solution (You can not run this as a Unfied Memory Access (UMA) CPU). 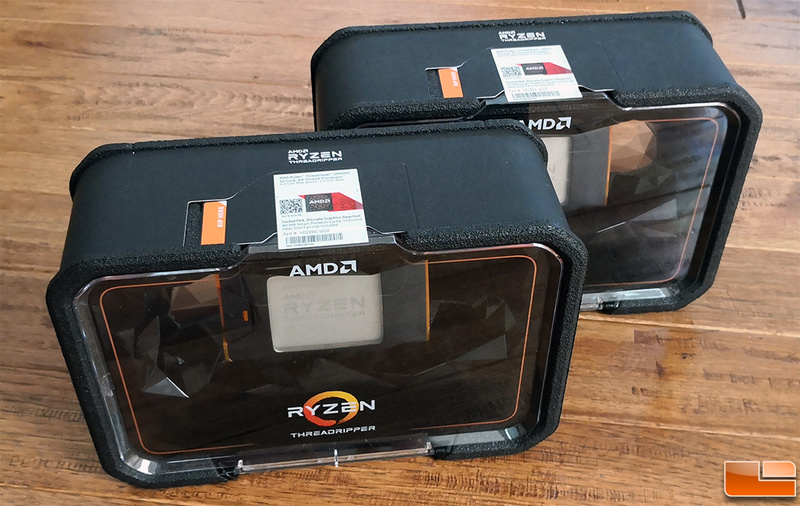 The good news here is that AMD officially supports memory clocked up to 2933MHz, which is up from 2667MHz on the first generation of Threadripper CPUs. 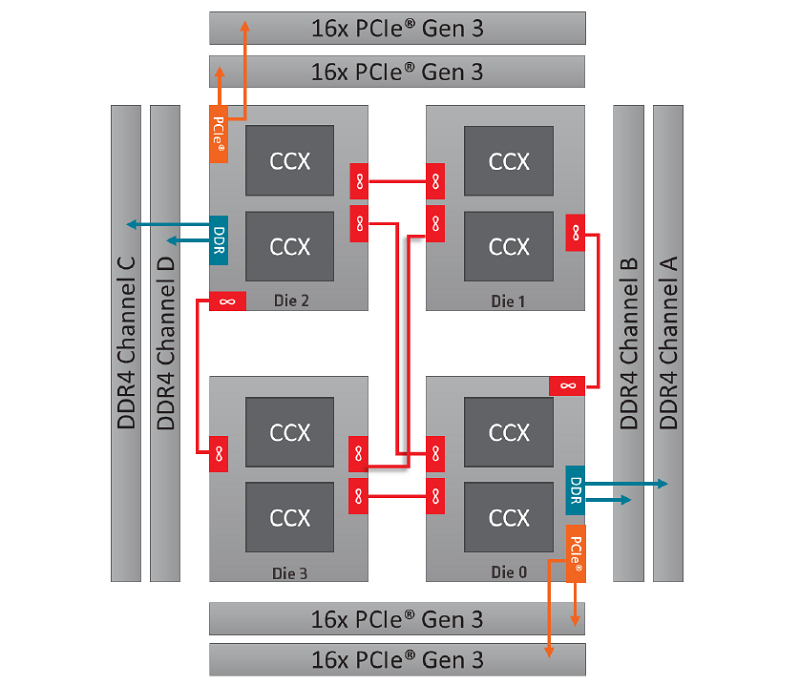 Dies 0 and 2 (“IO Dies”) each provide 32 PCIe lanes and two memory channels to the total solution. Dies 1 and 3 are “Compute Dies” without local PCIe or DRAM access; these Compute Dies receive DRAM and PCIe access from the IO Dies via the Infinity Fabric. All dies are connected via a mesh topology at approximately 25GBps (assuming DDR4 3200MHz memory is used). The AMD Ryzen Master utility allows you to disable cores at will and there is a gaming mode that disables everything but Die 0 to ensure the best performance while gaming. AMD re-designed the packaging for the second generation Threadripper series, but once you get home you’ll be taking it out of the box quickly. 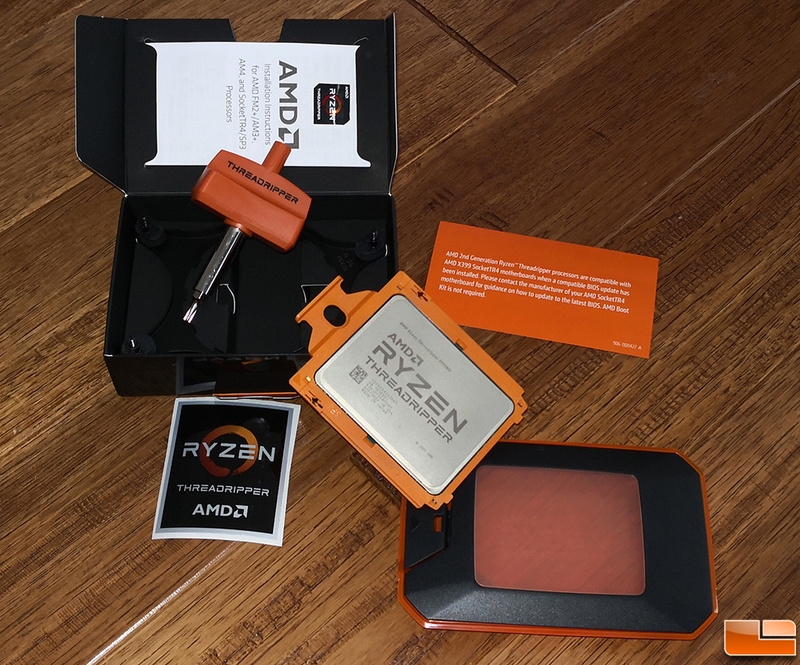 Inside the nice new retail packaging you’ll find Ryzen torque screw driver, installation instructions, sticker and storage case for those rare times your CPU is not secured to a socket. There are now more than 30 coolers that are officially compatible with Threadripper CPUs. AMD even teamed up with Cooler Master to introduce a $100 air cooler called Wraith Ripper that can handle even the 32-core 2990WX 250W TDP chip. The fact that you can air cool one of these 32-core processors is pretty amazing, but we’ve been using water cooling for years and aren’t about to slap an air cooler on this beast as we want to overclock. Yes, we are going to overclock this processor as far as we can! For cooling our Ryzen Threadripper 2990WX processor we turned to the Enermax LIQTECH TR4 II 240mm All-In-One liquid cooler. 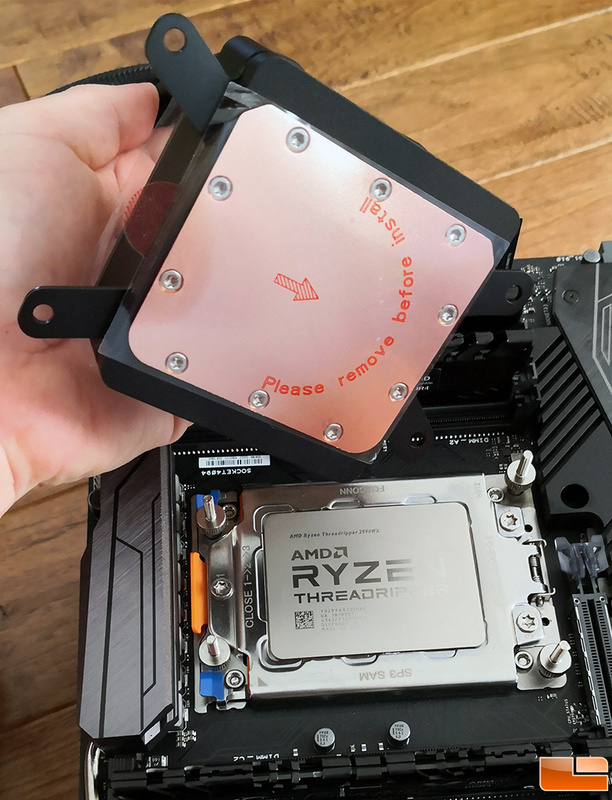 This water cooler is one of the few that offers a full coverage water block for AMD’s TR4 socket and we wanted to try an Enermax cooler out as we haven’t used one by them in years.